As Softxpert is a place where people can work, perform, develop & succeed together, we are hiring a passionate System Analyst/Product Owner. Examine existing business models and flow of data and help the customer in defining the business and functional requirements and disseminating this information to all concerned parties. Evaluate system specifications for business requirements or needs. Collect information, analyze and evaluate existing or proposed systems in order to design the most efficient and cost-effective solutions. Drawing up specific proposals for modified or replacement systems. Build the logical infrastructure and system architecture for the proposed solution. Work with customer to choose the suitable navigation model for the proposed solution. Maintaining the Product Backlog and arranging the backlog items’ priorities with the customer. Document business and system requirements. Develop requirements specification document using UML Technology. Make sure that all backlog items are completed according to the customer’s acceptance criteria. Maintaining the Release Plan and communicating the velocity variance to supervisor. 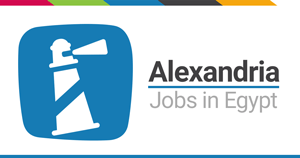 Business Development Specialist - Alexan..